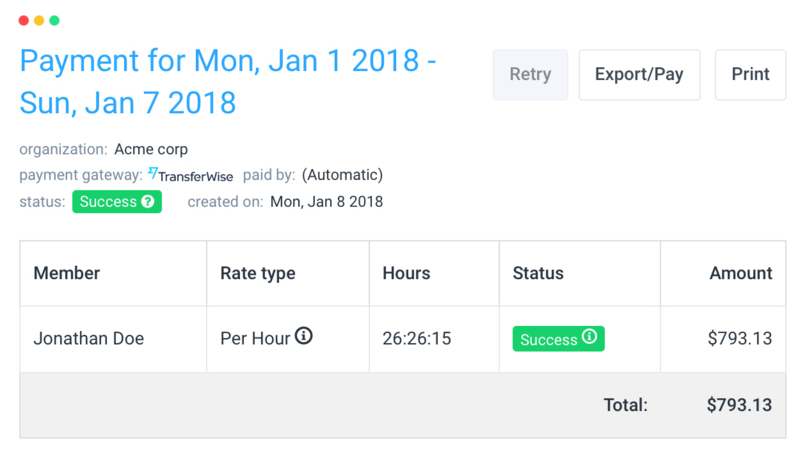 When your team tracks time with Hubstaff, you can rest assured that payments and work hours are as accurate as possible. Integrating TransferWise makes managing and paying your team is one smooth, simple process. Almost as easy as saying, “Send payment.” Make a large batch payment to your global team in a matter of clicks. 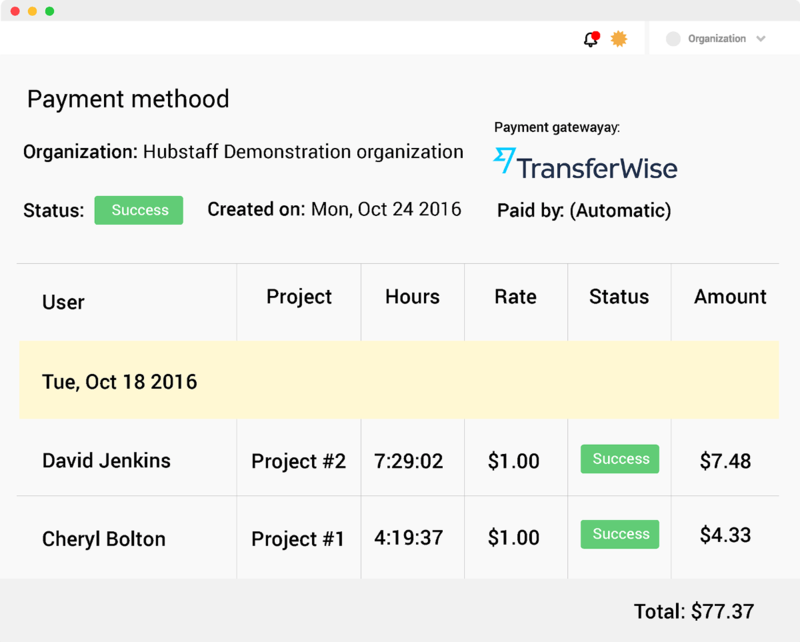 Pay teams directly through Hubstaff or export into a TransferWise-friendly file. Hubstaff and TransferWise. For people who love low fees. Thanks to this integration, business owners can enjoy an average of 16x lower fees than similar payment solutions. Hubstaff makes progress reports simple by allowing you to see what your team is working on while are tracking time. Capture up to three screenshots per ten minutes, or turn the feature off altogether. 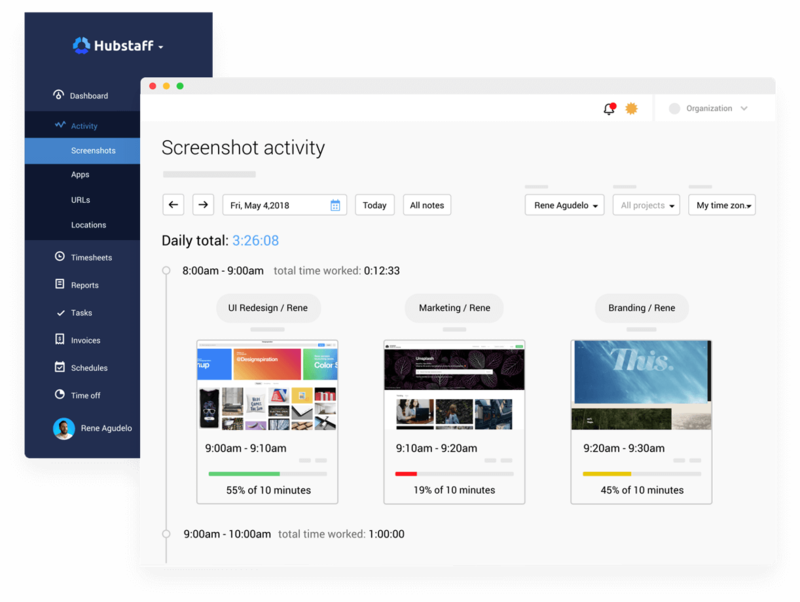 Built-in Hubstaff features make growing, managing, and paying your team easy. Automatic alerts when you stop working or leave the timer running accidentally. View time tracked, activity rates, and optional screen capture for a complete work tracking solution. 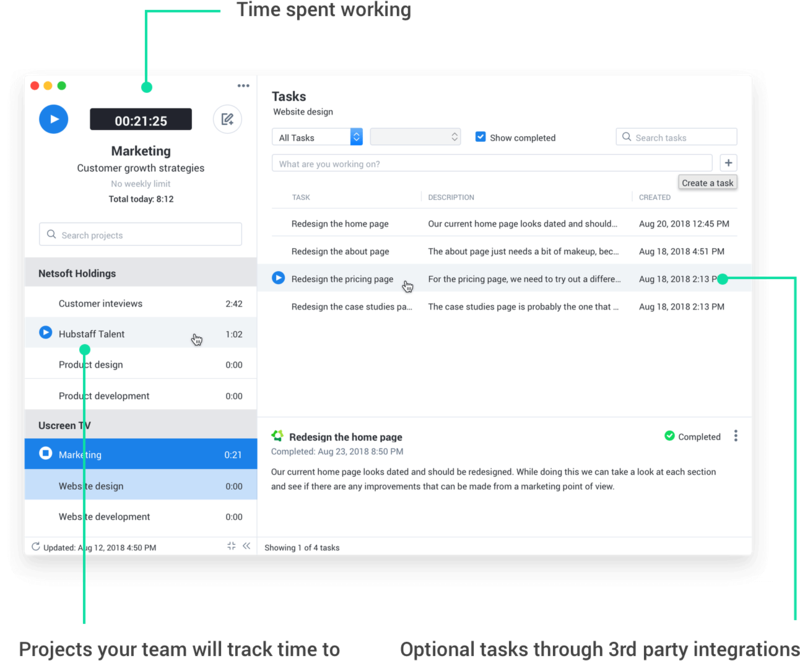 Set weekly time limits, idle team members, screenshot frequency, screenshot blurring for privacy, and more.